Every Land Rover vehicle protected by prepaid maintenance receives the care it deserves. Each is serviced by factory-trained Land Rover technicians using genuine Land Rover parts and Castrol Synthetic Oil to keep your vehicle performing at its peak. With nationwide servicing available at participating retailers, regularly scheduled maintenance is not only convenient, but it potentially increases the residual value of your vehicle. It can save you money too – up to 25% versus the cost of paying for each service as it is needed. These pre-paid maintenance plans can be purchased prior to the first service interval – or financed with the cost of your vehicle at the time of purchase. ** At specified maintenance interval. Prepaid Maintenance Plus Plan includes the following Wear items in addition to the services listed above. 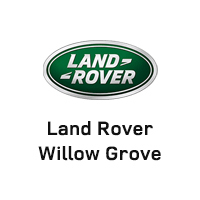 Note: Plans are only available for purchase and servicing at participating authorized Jaguar or Land Rover Retailers within the U.S.
Land Rover Willow Grove	40.1618397, -75.1126684.